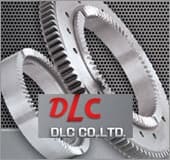 We thank for all customers who encourages and shows interest in DLC Co., Ltd.Our company is a specialized manufacturer of Curvic coupling product and a leader of technology prevailing various relevant devices. We are also proud of being the largest supplier in domestic and international market with this product. Also we put a ceasless effort and frontier spirit into R&D while we listen to customers demand as for the reqeust on the standard quality. We are also ISO9001:2008 certified. We, DLC Co., Ltd. will support you to grow together throughout stable quality, right time delivery, and reasonable price. Thank you.